The moment you become a parent marks the beginning of a whole new chapter in your life. One filled with unimaginable joy and love but also great responsibilities, task juggling, sleep deprivation, and constant worrying. While all parents are superheroes who do everything possible to keep their children healthy and happy, it is important to know that every superhero needs a sidekick. In other words, you need to know that you do not have to do everything on your own. 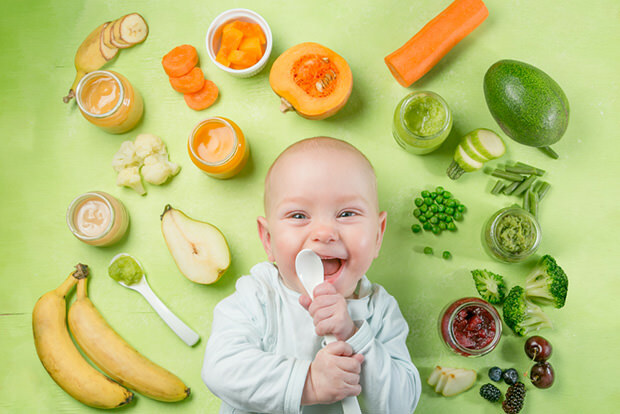 In this article, we introduce you to meal delivery services for babies and toddlers that you can actually rely on. Tested and praised by parents around the nation, these services have proven to be excellent choices that can help you provide only the best for your child while getting some well-deserved time away from the kitchen. If you could use a couple of spare hours during the day, here are the best meal delivery services for babies and toddlers that you should definitely try out. Key Info: Nurture Life offers fresh, healthy, organic meals for babies, toddlers, and children of all ages. All meals are crafted by an experienced chef and pediatric dietitian. The service offers 3 menus for babies (6+, 8+, and 10+ months old), each featuring 10 meals, and 1 menu for toddlers featuring 16 fun and delicious dishes. The menus change every week, providing your child with a perfectly varied diet. For the little ones with special dietary needs, Nurture Life has prepared vegetarian, vegan, gluten-free, soy-free, egg-free, and dairy-free meals. Availability: 22,000 cities throughout the Midwest and East Coast. Price: Starting at $4.30 per meal. Every delivery comes with a $6 shipping fee. Key Info: Little Spoon specializes in organic baby blends created in cooperation with a professor of pediatrics, a pediatrician, and a registered dietitian and certified dietitian nutritionist. The blends are freshly made, contain no artificial substances, preservatives or additives, and they come in a variety of delicious natural flavors. You can choose from blends recommended from 4, 6, 8, and 12 months of age. Each blend is designed in accordance with babies’ nutritional needs at every stage of development during the first years of their life. Availability: Little Spoon ships its blends throughout the continental US. Price: Starting at $3.92 per blend. Shipping is free of charge. Key Info: Yumble offers tasty, fun-to-eat meals for picky eaters. Its meals are suitable for toddlers and older children up to the age of 12. The ingredients used to make the meals are always natural and organic whenever possible. The weekly menu includes 18 meals and 4 healthy snacks that can double as breakfasts. Special diet options include vegetarian, dairy-free, egg-free, and gluten-free dishes. You can order 6, 12 or 24 meals per week. Availability: 26 states on the East Coast. Price: Starting at $6.99 per meal. Shipping is free of charge. If you have tried one of our top picks, please share your experience in the comments below!